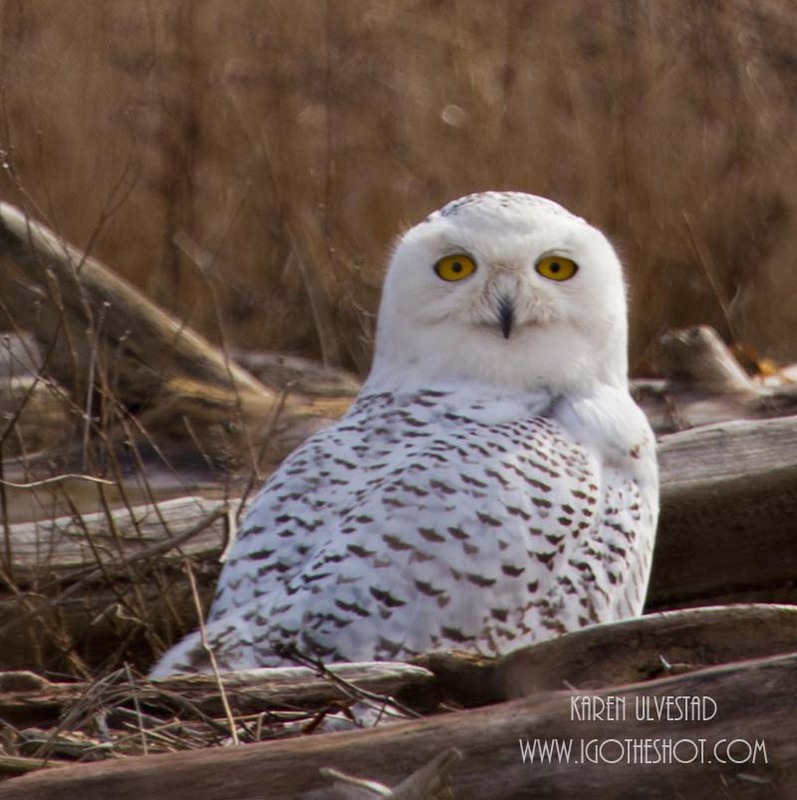 There were at least 22 Snowy Owls at Boundary Bay in Canada earlier this week. The owls were roosting close enough to the dike to photograph with them with a 400 mm lens, and get good photos. Many birders and photographers are visiting the area to observe and/or photograph the white owls. In this area, weather is an important factor to a successful photo shoot of the owls. The landscape is reminiscent of the tundra, and is wet. The best and driest viewing area is from the dike. Equipment for the shoot should include a tripod and long lens. The minimum lens length would be a 100 – 400 mm. Many photographers use a 600 to 800 mm lens for this type of shoot. Visitors can get within 30 to 50 feet of the owls without disturbing them. During the day, the owls are sleeping and/or resting, which makes them easier to photograph. They do startle easily by people coming to close to them. The rules of the area indicate that the owls should not be disturbed, and need to conserve their energy for the long migration back to the arctic. The owls will be migrating back soon. Also, the area is teaming with Bald Eagles, Hawks and other raptors. It’s information like that, persuades people to keep returning to a quality resource like this site. Keep up the great work.